For any business to foster and grow, a strong and loyal customer base is important. Print industry is quite huge and you will find a variety of clients ready to work with you for their different needs. Many people think that after the advent of online market and internet communication, print is of no use or it’s dead. But, since everything has gone online, likewise printing has also been digitalized and gone online. Most printing firms are failing because they are not able to cater different customer needs. You may have large printing firm to serve healthcare firms, sports academy, educational firms, marketing firms, packaging companies, etc, but all of these companies have different needs and requirements which might be difficult to cater. However, there is a single solution for all these customers and it’s a personalized printing solution. This is possible with a powerful online product design tool which allows your customers to create unconditional designs for their products as per their tastes and preferences. 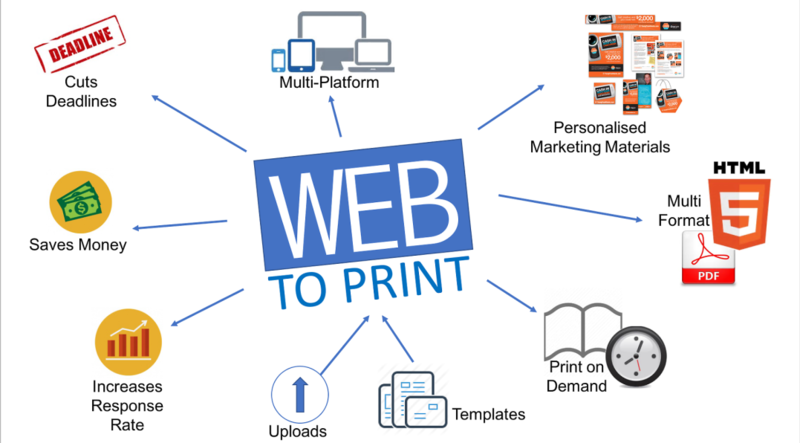 How is web-to-print solution beneficial for your print business? Product personalization is becoming a new trend and people want to buy products that have custom designs built as per their tastes and preferences. This is where a web-to-print software proves to be panacea for your problems. You do not need to spend time in estimating the requirements of your customers, simply allow them to create their own designs. Web-to-print is the effective use of website in print business. It allows the end users to design, preview and submit their materials through easy-to-use interface on the website and order customized products. Traditional workflow is very time-consuming no matter what amount of work you have to do. However, any amount of work can be completed only in a few stages with web-to-print software solutions. Therefore, time taken from order submission to delivery is reduced a lot, which makes it an ideal solution for tight deadlines. A client needs not visit a printing business either, he can choose from different design templates presented to him according to his business needs and goals. He can also choose to create his own designs as per the requirements. These pre-made templates reduce designing time and enable to produce designs quickly. In traditional printing business, generally the firm was in charge of the printing process, with web-to-print technology, there is limited interference of firms by processing print orders and shipping products to customers’ addresses. As a result, the customers get charge of other activities. It reduces in-house costs along with other overheads reducing administration and inventory costs. Also, with the advance approval of a product, it reduces production costs for every order. As a result, you can offer cheaper products. At a digital print store, you can place an order from your home through its website, all it takes, is to browse the catalog of products divided into different categories to make it easy for you to find designs of your choice, place order online, mention delivery date and that’s it! One of the greatest benefits that a web-to-print solution, like online product design tool provides, is the ease of altering or changing documents, even at the last minute. But, it is quite time-consuming and difficult as you would require another trip to the print firm to modify the design. With web-to-print, the whole process can be completed online and it is easy to make the future revisions for the end-users. They will only need to change the template and place a new order. 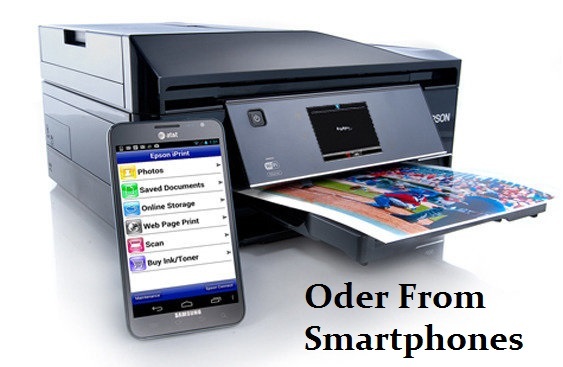 Many other changes can also be made with the order in case of web-to-print service. In the last few years, smartphones and tablets have become the standard of communication and online activities. Web-to-print services provide customers with the facility to design and order their material from the screen of their smartphones or tablets. Internet-enabled mobile devices have made it easy for the customers to personalize and order any product easily and quickly from their small screen devices. With the increasing influence of social media and online publishing, more and more trends are appearing day by day. Web-to-print stores are providing customers with options to create and edit customized designs as per their interests and preferences. Some stores also allow the customers to build unique products with a set of new features integrated into a template while many others permit minor changes. For instance, a t-shirt design is a perfect tool to create customized t-shirt designs. You can integrate such tool into your site and allow the customers to personalize and order t-shirts. Print commerce allows the firms to take orders, print and deliver customized products to customers. This process can be made even effective with the utilization of online product design tool which enables end customers to create custom designs and order the products as their own choices. Due to this web-to-print technology, e-commerce businesses and printing firms can provide better services and products to the customers. As a result, business will flourish and strong customer base will be built and profits will rise. In order to run your print commerce business successfully, you always need to stay ahead of your competitors and an online product design tool can help you achieve this goal. Using such tool like t-shirt design tool, you can enable your customers to create customized designs for t-shirts or other products as per their interests and order the products online. You can obtain a powerful web-to-print software from software providers like No-Refresh and integrate it into your site. No-Refresh provides high-end product design tools that can be easily integrated into an e-store built on e-commerce platforms like PrestaShop, Magento, Shopify, and more. Packed with the best quality features, every software comes with simple UI and functionality. They allow the end-users to craft matchless designs for t-shirts, shoes, buttons, greeting cards, business cards, mugs, banner, sign board, sportswear, uniforms, labels and so on.